Happy Monday! 2016 is under two weeks away, and if you’re like me you’ve been thinking about what you want to accomplish in the new year. Goal setting is one of the most powerful tools you can use to make your dreams come true, so I’ll be blogging a little more about goal setting throughout the rest of the month. 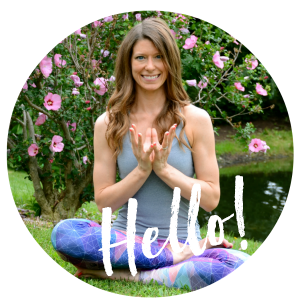 I owe a lot to goal setting: I became a yoga teacher because after doing some soul searching at a goal setting event, I decided that I wanted to teach yoga to runners. 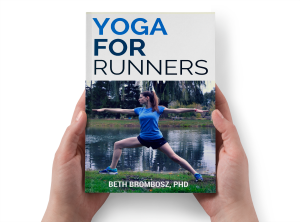 My life has totally changed as a result of that goal: I’ve been teaching yoga for two years now, I self published a Yoga for Runners book, and I run a successful Yoga for Runners Online Program. 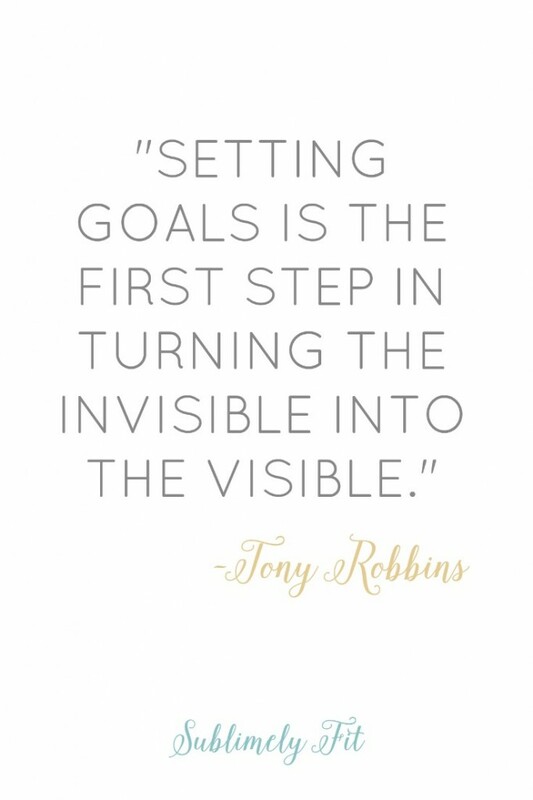 Goal setting allows you to take the vision you have for yourself and make it a reality. For me, goal setting really did help me take the vision that I had in my mind and helped me turn it into reality. I had just graduated with my PhD and had no idea what I wanted my life to look like in a year or five years. I did know that I wanted to create a life where I felt more in control and that was less stressful than the life I had been living. I took a few weeks to really think through what was important to me, what made me happy. That allowed me to think about possible actions I could take to create a life for myself that made me happy, that allowed me to be more in control of my life and my work. If you’re looking to make great things happen for yourself in 2016, my challenge to you this week is to start thinking about what kind of life you want to lead. What makes you happy? What makes you unhappy? What changes in your life would allow you to add in more happiness? I personally started with a list of things that I wasn’t happy with or hadn’t been happy with, particularly with my career, which allowed me to think more about opportunities that would allow me to be happier. Start to jot down your ideas somewhere, and begin to think about the life that you want to create for yourself. Ultimately you are in control. Every day is a new opportunity to take a baby step to creating the life that you want to live. Where is it that you want to go? I’d love it if you shot me an email (I’m beth (at) sublimelyfit.com!) to let me know how it goes! Ohhh. I have never seen that quote about the invisible to the visible. I really like that. For me I tend to focus on the fact goals are dreams with timelines. I really liked it, too, Carla. Love your quote too. It doesn’t help to dream unless you take actionable steps to get to your dream. Here’s to making dreams come true! This is exactly what I need to do. I’ve been feeling so unsettled with my current job. But I’m scared of making that leap and I truly don’t know what would make me happy yet. Yes, that’s absolutely true, Julie! Goals are helpful when they help you enjoy life more. When they start to sap your joy, they lose their effectiveness. Glad to hear you’re finding balance! I try to bet a goal setter, I make great goals but have issues with follow through, that’s what I need to work on. Yes! It’s amazing what happens when you really follow through well. Good luck, Amy! Beth, I love this post and the message behind it! I left academia right before starting my PhD with the wild idea of writing about running and working as a running coach, since running was what sustained me mentally through grad school. I’m so inspired to see how much you’ve accomplished this past year and am so excited to follow you as you accomplish even more in 2016! Running did the same thing for me during grad school! Such a great stress reliever. So happy to have you as a companion on this journey, Laura! You’ve got a big year coming up, too. Here’s to 2016! I don’t make resolutions but I do set goals! Is there a difference? I think so! Great post with the new year coming up! I love the new year as a chance to start new goals. I’ve been thinking of what goals I want to set for the next year which led me to finally pull the trigger and sign up for college round 2 – second Bachelors here I come! Thanks for the encouragement. Yes yes yes!! I love your outlook! Good luck with everything girl! 🙂 Also, I must say… your words are so motivating! 🙂 I completely agree… everyday is a new opportunity and it’s all about baby steps!